WARNING: This is a preview of Pocket Ballpark. All components and rules are prototype and subject to change. tl;dr: Quick and easy Baseball sim. Getting to the Game: Not just a clever name, Pocket Ballpark fits some pretty good tense baseball feel into just a few cards. 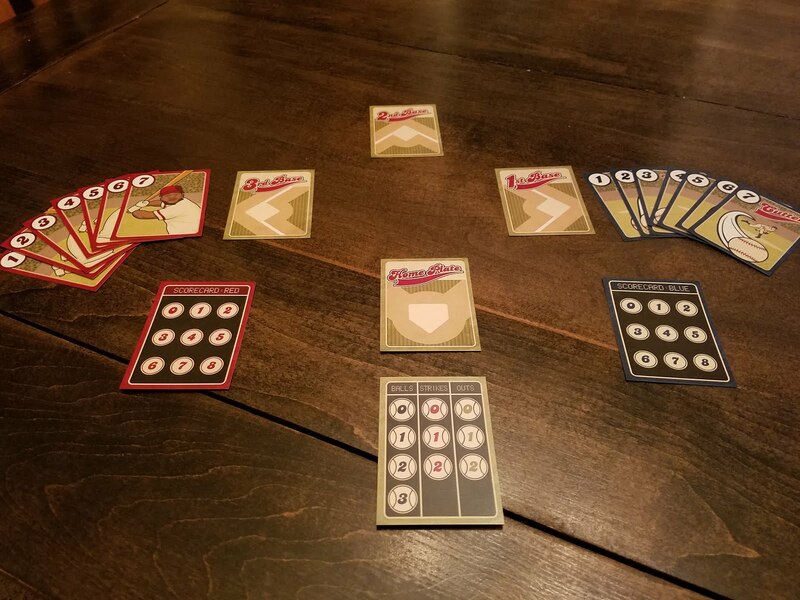 Take the home plate card and each of the base cards, setting them out to form a diamond. 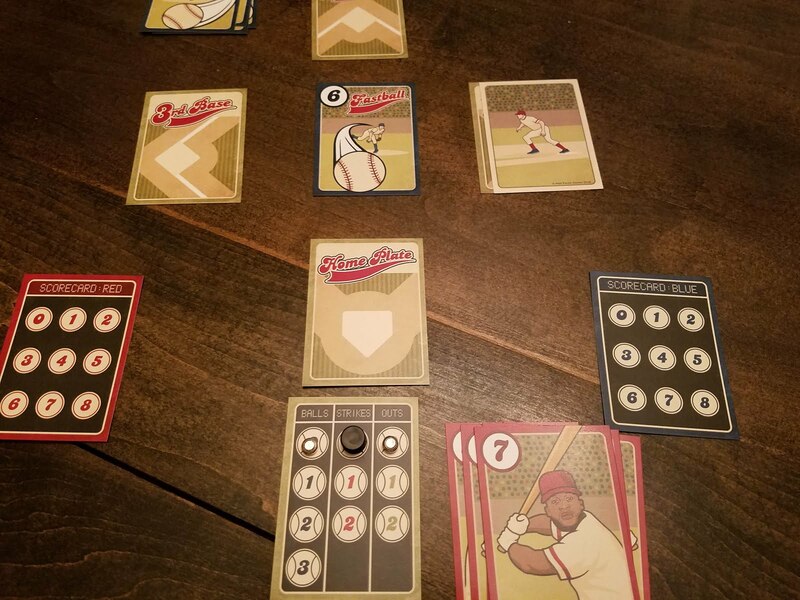 Separate the Pitcher deck from the hitter deck, and find some coins or other tokens to use to mark spaces on the provided tracker cards. Play Ball! Played over as many innings as you want (the game recommends 3, and I think this feels about right), the pitch is that both batter and hurler will choose a card from their deck and play it at the same time. You then add up the total of both cards, and check the outcome card to see what happens. 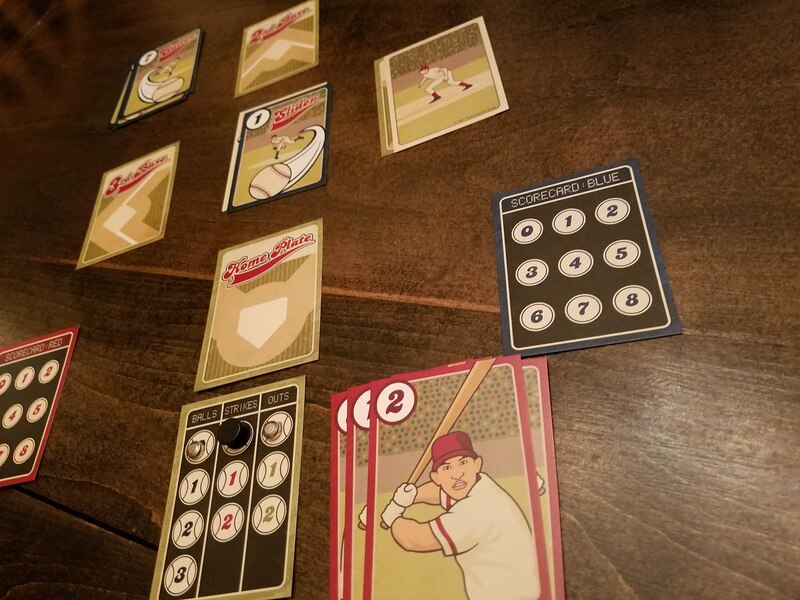 Your deck is a limited resource, though, so there's a definite feel that the longer the at-bat goes, the more the batter has control (spectacularly, just like a real game). Playing the Game: This game plays incredibly quick, which is great, but the real genius isn't in the simplicity, it's in the depth. Ultimately, yes, you're just playing one card at a time until a hit or out happens. The trick is that if the hitter gets on base, you flip over the batter card used in that pitch and make it the baserunner. This means that that number is no longer available to you until you score him or he gets out. When your deck empties, you reshuffle only the cards in the discard, so there will be times when the batter or the pitcher knows exactly what's available in the other's hand and can play to that. The strength of this mechanic is that sometimes in an actual game, the hitter knows the pitcher needs to throw a fastball for a strike and can sit on that pitch. The drawback is that in this particular game, it happens more often than it should. We houseruled one game where when the pitcher has only one card left in their deck, they automatically reshuffle. This allowed the pitcher the control they usually have in a game, where they determine the pace of play. It didn't solve the issue for the hitter, however. It did make it feel more like an actual baseball game, usually a lower-scoring affair. 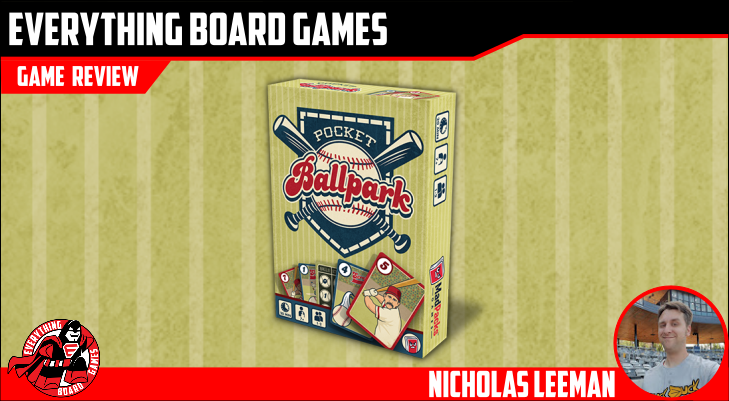 Artwork and Components: As this is a KS preview copy of Pocket Ballpark, I will say that the mechanics are far more interesting than the art, and hope that the developers have more in store than the generic art present here. The cards here are thin and flimsy - again, hopefully the product of prototyping. What worries me a little is the lack of trackers for the important cards. The instructions clearly lay out that the players are to use coins or whatever they have lying around. Little wooden baseball discs for the pitch tracker card would be perfect. Tiny plastic helmets for the score trackers would also be very welcome. 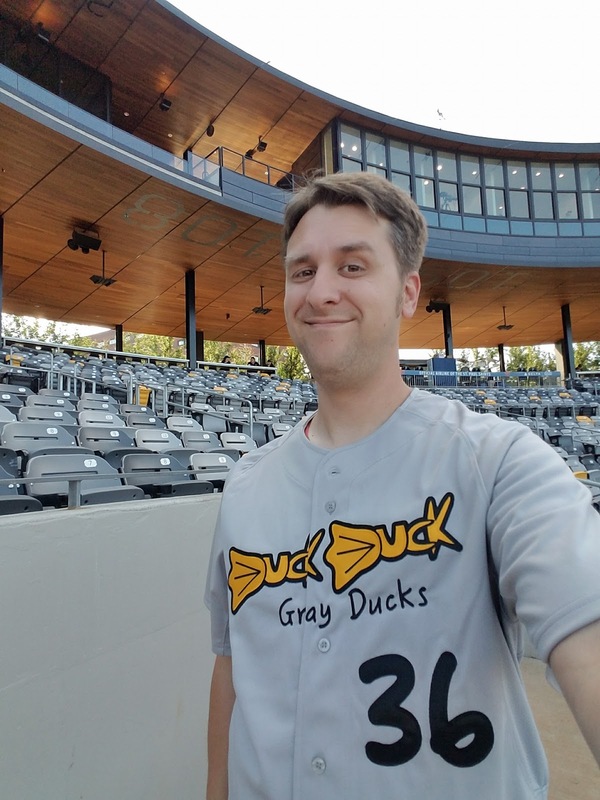 The Good: Baseball gameplay is quick, light, and feels authentic for such a small footprint. Portability is a huge plus. 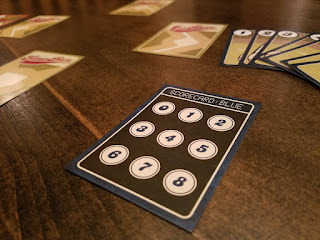 The Bad: Art and cards in the review copy are just meh. Lack of physical trackers is glaring. Score: With so many unknowns, it's tough to give this game an overall score. The actual playing feels really good, though, so I'm willing to give a little more slack to the components, hoping they rise to meet the game. As it stands, there's plenty here to like, and the price point is pitch perfect. I'm giving Pocket Ballpark a score of A Solid Single. On KICKSTARTER now. Campaign ends October 18, 2018.